KEN YUSZKUS/Staff photo. 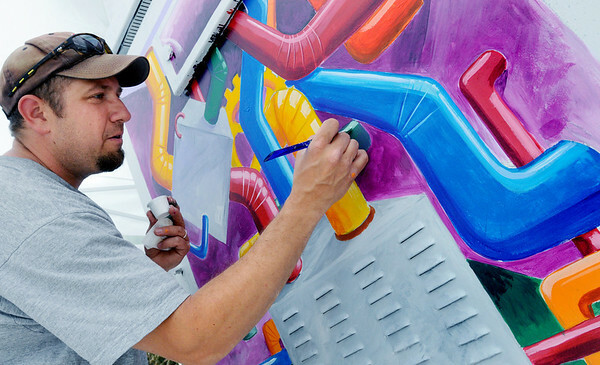 Scott Froeschl paints a utility box as part of the Salem's ArtBox program at the corner of Washington Street and Lafayette Street in Lafayette Park. The title of his painting is "Inner Pieces". 6/9/14.